At Advanced Dental Practices, patients in and around Wrentham, MA are often interested in working with a biological dentist. Our practice is committed to following the protocols set forth by the IAOMT for mercury amalgam filling removal. 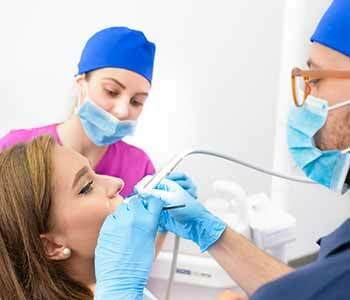 Dr. Ross Palioca is a biologic dentist who wants to ensure that procedures are done safely and up to the very high standards of this organization. IAOMT stands for International Academy of Medicine and Toxicology. This organization has studied the effects of silver amalgam fillings which have been used for years in restoring teeth that have been affected by areas of decay. Silver amalgam fillings are made of a mixture of materials that are unfortunately still used by dentists today. This material is toxic to the body because it is comprised of approximately 50 percent mercury. Mercury is toxic for the human body, and patients who have had silver amalgam fillings may notice changes to their overall health because of the exposure. Why follow protocols for removal? Mercury vapors are released when the amalgam is heated. This can occur often, when patients are enjoying hot beverages or even chewing their food. Because of the sensitivity patients can have to mercury exposure, it is essential that the removal of silver amalgam fillings be done in a manner to reduce mercury exposure to not only the patient, but also the dentist and staff that are present at the same time. What are the protocols set by the IAOMT organization for safe mercury removal? All these recommendations are made to greatly reduce the exposure to mercury vapors for everyone in the procedure room and allow patients and staff to feel safe throughout the treatment. When should silver amalgam fillings be removed? Patients have the option to have silver amalgam fillings removed at their request. 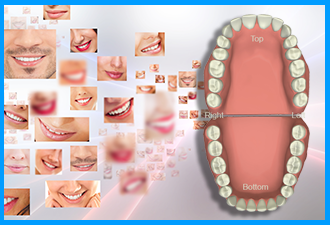 Because these fillings are put in place to address cavities, they must be replaced immediately when they are removed. Our practice can do both the removal of the silver amalgam fillings and the replacement of them during the same appointment. At Advanced Dental Practices, we encourage patients to consider replacement with composite resin. 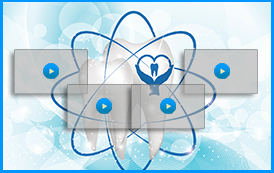 This is a BPA-free material that is much safer to use for dental fillings. It is also more aesthetic, as it matches the color of the natural tooth enamel. This makes it difficult for others to notice that a filing is even in place! Additionally, composite resin does not expand and contract as silver amalgam fillings do with temperature changes. This reduces the risk of bacteria entering the tooth and causing an infection. Dr. Ross Palioca of Advanced Dental Practices is committed to providing treatments that are both safe and effective for patients in and around the area of Wrentham, MA. If you are interested in quality care from our team, we welcome you to book an appointment with our staff today. 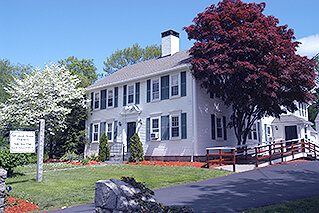 We are located at 21 East Street in Wrentham, MA, and can be reached to book an appointment with our front office team at (508) 456-7111. New patients are encouraged to visit our facility and learn about all we have to offer in terms of biological dental care.